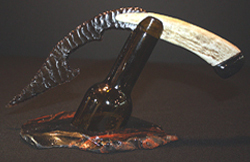 What is a Knife Sculpture? 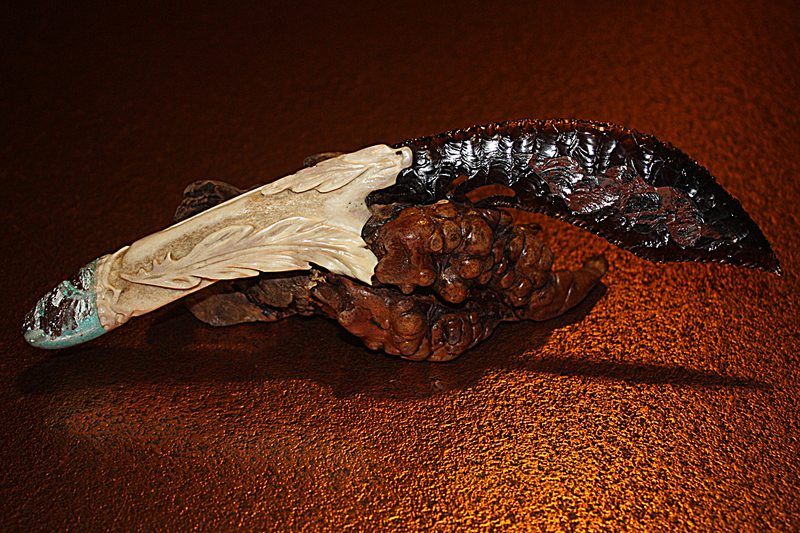 5” polished Turkish onyx hilt and handle. Perfectly elegant! 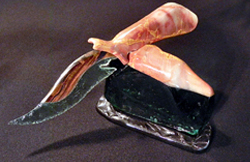 Artisan Mario meticulously infused green obsidian alternately with pale green slag glass, then knapped to perfection creating the artistic design of this knife blade. But Mario doesn’t stop there! 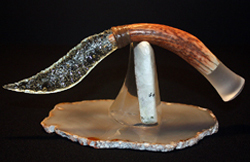 He combines knapping with a hand polished edge making the blade even more unique. 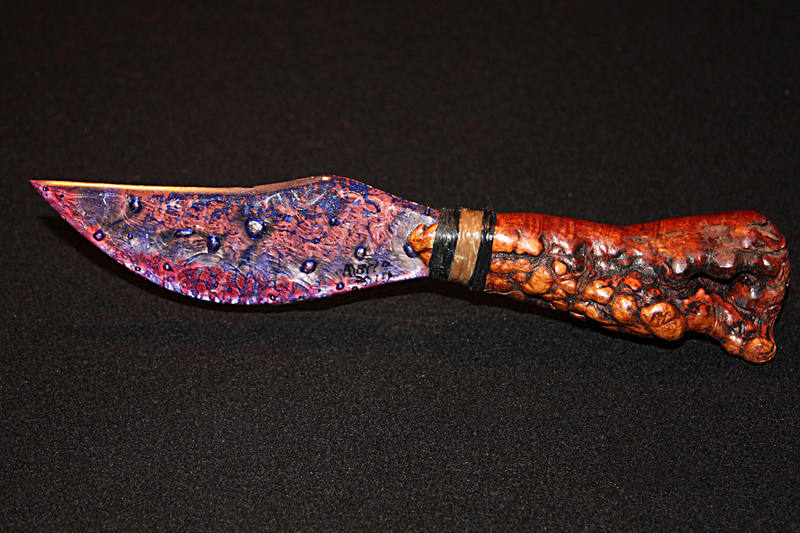 Beautifully hand polished Turkish onyx is used for the hilt and handle. 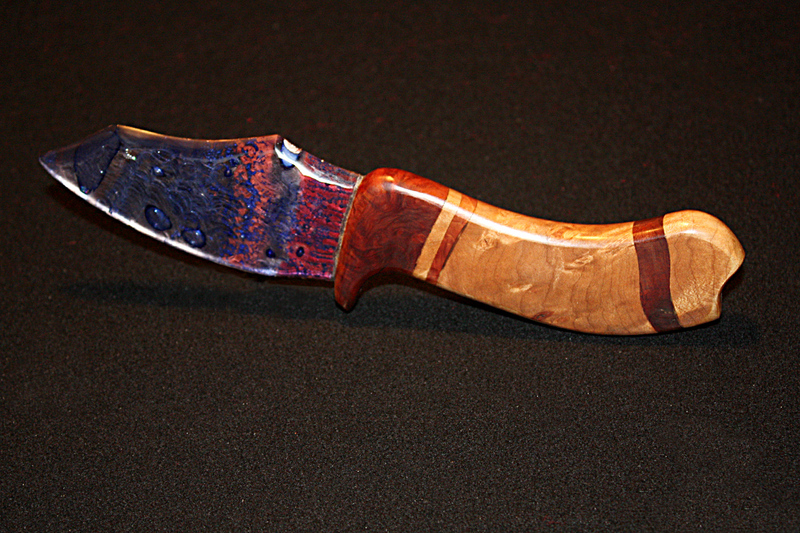 The finished knife is 12″ and is mounted atop a stand of gorgeous natural opal from the state of Washington. All this rests on a polished Turkish onyx base creating one of the most stunning of knife sculptures you may ever have the chance to own. 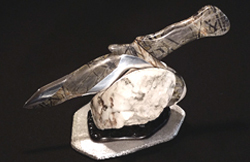 This knife sculpture is a true museum quality masterpiece worthy of the most discerning collector or investor. It is signed by artisan Mario and includes his certificate of authenticity.